Adapted from The Essentials: Supporting Young Children with Disabilities in the Classroom, by Pamela Brillante. Copyright © 2017 by the National Association for the Education of Young Children. When you open your classroom door this new school year, you’ll be welcoming preschoolers with a variety of experiences, strengths, and challenges. For some children, this will be their first time in a classroom, and they may struggle to follow routines and grasp concepts. Others will arrive having a lot of experience with books and language, and some may be dual language learners. A few children in your new class might have disabilities or developmental delays that impact their learning, social skills, or behavior. You may be wondering, How do I support children with disabilities or developmental delays when I don’t have any training to do that? 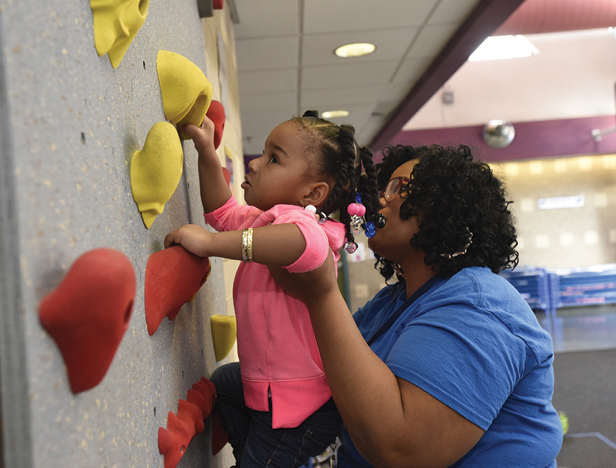 All children learn best in a developmentally appropriate program that offers them the supports they need to participate successfully alongside their classmates. Many children with disabilities benefit from simple accommodations and modifications, while other children may need more specialized, individualized supports provided by special education professionals. These professionals will work with you, the children, and their families to help the children learn and thrive. To be an effective teacher, remember that regardless of individual needs, children are first and foremost children—and best practices for young children are best practices for all young children. Here are some ideas to help you set the stage for a great year for everyone. Painting and drawing: Some children have a hard time painting or drawing on a tabletop because it involves using very small muscles in the hands and wrists, which may not be developed yet. Try also setting up easels, which allow children to stand and use bigger arm movements that originate from the shoulders, which often is easier. Books: Make board books available, and add jumbo paper clips to regular book pages to make them easier for children to turn. 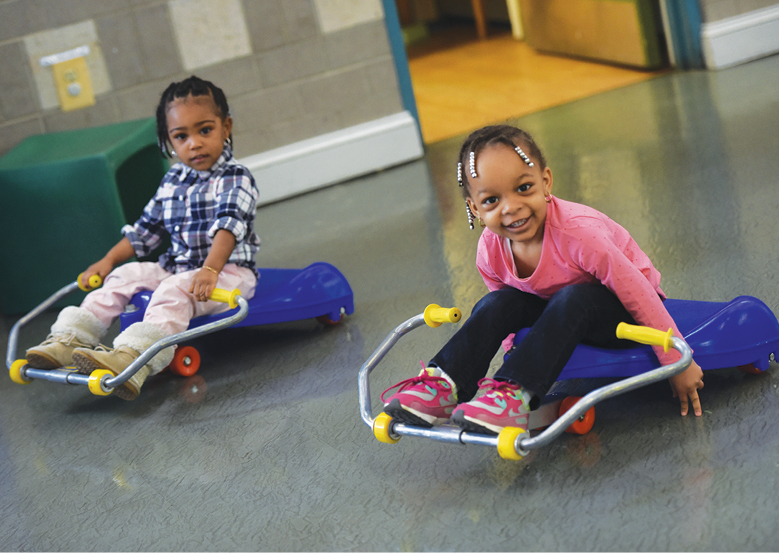 These modifications help children with motor delays but are also fun for everyone. Each child is unique, and every child can learn. Look beyond a child’s disability or label, and get to know her as a person. Observe children to discover what interests each one and to get ideas about what might motivate her. Talking and playing with children provides important opportunities for building trusting relationships. Set learning goals, choose strategies, and assess children’s progress. And just as you do for all children, have high—but realistic—expectations for children with disabilities or developmental delays. To be an excellent educator for all the children in your classroom, stay in touch with your inner teacher. Review both your understanding of child development and your toolkit of practices. Honestly examine your beliefs about children and families. Then think deeply about your responsibility to make learning—and the physical environment—engaging, developmentally appropriate, and accessible for all children. If a child has an identified disability or developmental delay, he receives services specified in his Individualized Education Program (IEP). The child’s teacher should either be given a copy of the IEP or opportunities to review it. Don’t hesitate to ask the special education teacher, early intervention coordinator, or administrator to explain anything that is confusing. They can help you adapt and modify your curriculum, physical space, materials, and educational expectations so the child can participate as fully as possible in classroom routines and activities. These professionals can also support you in identifying the child’s strengths and interests, helping you find relevant ways to connect your teaching to each child. Speech, physical, and occupational therapists who work directly with a child can also brainstorm adaptations and modifications with you. For example, for a child who has difficulty with balance and large motor control, a physical therapist could provide a special chair for the classroom and work with you to find other comfortable seating options that let the child be part of the group. Design the classroom space, routines, and activities so they are adaptable and can be used by the children in a variety of ways. This proactive approach supports children’s strengths and can be modified to address children’s needs. Plan activities that require more than one child’s participation to accomplish a task. Instead of an adult always working with a child with a disability, pair the child with a peer buddy. Provide dress-up items with multiple ways to fasten them. Find ways to absorb background noise to avoid distracting children. While there are many strategies to support children with disabilities, here are a few. Environment: Arrange the classroom furnishings so all children—including children with visual or physical disabilities—can move and maneuver around the room and learning centers by themselves. Make sure materials are within reach. Watch for classroom clutter and unstable flooring (throw rugs that move easily) that make the classroom space inaccessible for some children. Routines: The best routines have a predictable beginning, middle, and end. Use visual supports, such as pictures or props, to teach children routines, help them stay engaged, and aid them in transitioning between different activities. Peers: Peers who do not have disabilities can model positive prosocial and communication skills and demonstrate everyday routines that young children with disabilities can imitate. Classmates can also help children develop social relationships and increase their motivation to be part of classroom activities. Noise: Managing noise in the classroom plays an important role in both learning and behavior. Loud classrooms affect a child’s ability to understand increasingly complex language. Carpets and other sound-absorbing materials, like wall hangings, heavy drapes, felt, and chairs with tennis balls on the bottom of metal legs, all help reduce classroom noise. Materials: Modifying materials in the classroom can have a big impact on independence. Add pencil grips to crayons and markers to make them easier for children with motor difficulties to hold. Gluing small knobs to puzzle pieces make them easier to pick up.Create opportunities for refugee parents to share their traditions. What do you expect children to do and learn during typical routines and activities? Consider this, then think about the supports you can provide to help a child with a disability be more independent and successful. Break down activities into smaller, more manageable tasks for her, and teach the tasks one by one. To help the child transition to a new activity, give her a picture or symbol of the area to show where to go next. If a child uses a nonverbal mode of communication (picture symbols, sign language), teach all of the children to use it. Whatever the needs of the children in your classroom, learn to trust your instincts and rely on your professional expertise and judgment. Be willing to seek help from others who have valuable experience and knowledge to share with you. These are important things you can do not just for children with disabilities but for every child in your classroom! When there is a child with a disability or developmental delay in your class, you’re likely to hear a dizzying variety of terms from special education professionals. Here are a few helpful definitions. Assistive technology (AT): any item, piece of equipment, software program, or product system that is used to increase, maintain, or improve the functional capabilities of children with disabilities. Assistive technology helps with speaking, seeing, hearing, learning, walking, and many other functions. Different disabilities require different assistive technologies (wheelchairs, walkers, braces, educational software, pencil holders, communication boards). Inclusion: the practice of educating children with disabilities in the same classroom as their same-age peers who do not have disabilities. Inclusion is part of the philosophy that people are more alike than different, that differences make classrooms and experiences richer, and that everyone—children with and without disabilities, families, educators, and communities—benefits when children are educated together. Note: While you may occasionally hear the older term mainstreaming used to mean inclusion, the two are not interchangeable. Mainstreaming describes a child with a disability participating in a program with her peers for just part of the day or for specific activities where she can participate without the teacher making any changes to the activity. Inclusion is the philosophy that children can engage in activities with their peers even if those activities need to be adapted or modified in some way for children to be successful. Author’s note: Different terms, such as challenged, differently abled, and special needs, are used to refer to individuals with disabilities. While these terms appear to be inoffensive and seem to emphasize positive qualities, they are euphemisms and are not frequently used in the disability advocacy community (Syracuse University Disability Cultural Center). The Essentials: Supporting Young Children with Disabilities in the Classroom (the book the information in this article is adapted from) uses “child with a disability,” and we do also.